Raven's well is the source of the medieval water pipe in Bristol - called Temple Pipe built in 1366 to supply water to the friary at Temple Gate and Temple Church. 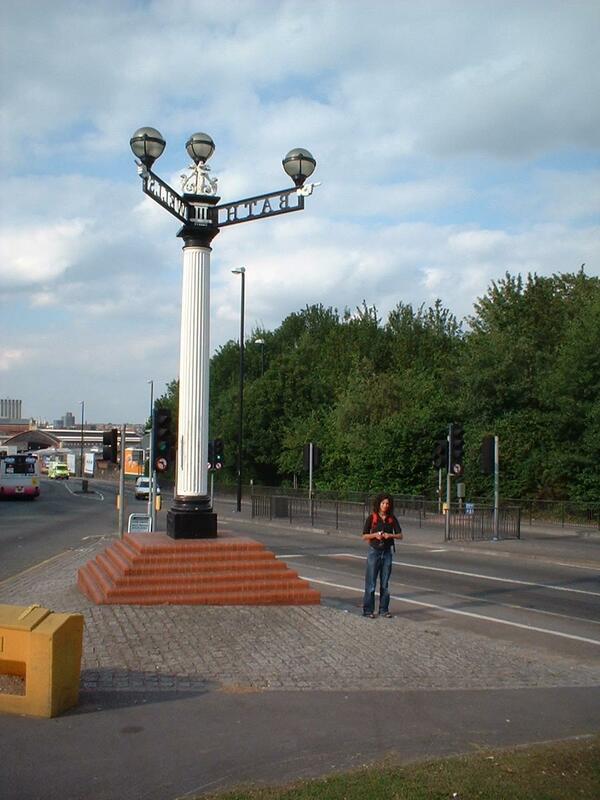 A 100 years ago Temple pipe was severed by the building of the railway line. 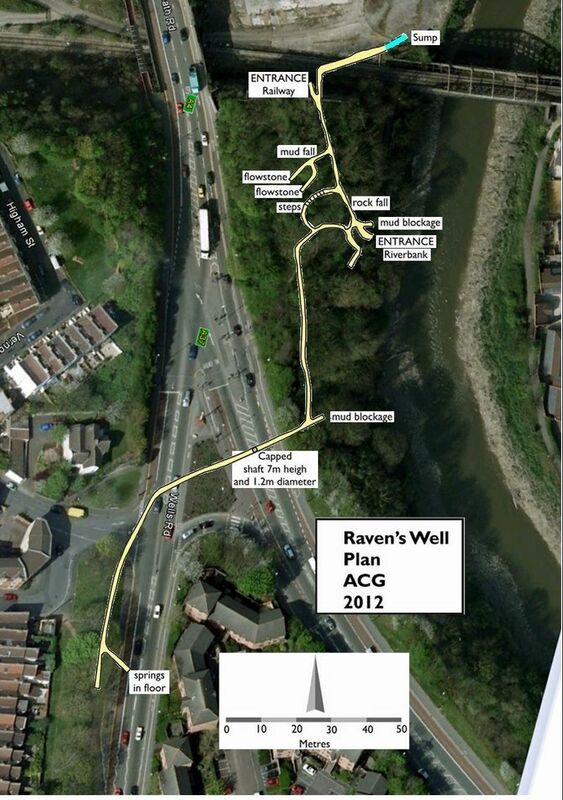 Raven's well is under the three lamps sign post at Totterdown. This was first publicised in Sally Watson's Underground Bristol book which describes several such medieval pipes. So it has been on my wish list for some time. None of us has been before. Here is an overlay map by maggot combining the mendip underground survey with aerial photos of the location. The water gets deep above the essentials and bridging eventually becomes untenable and emersion beckons. from the underground bristol book. Very convenient for Ivan and George who both live within a mile and we ended up in one of Ivans locals. Good beer too - but no food unlike the Hunter's. Just expensive crisps. Very interesting, thank you for sharing your adventure and photos. A question.. Are the springs fed from the water table or are they specifically warm water springs ? I think they are fed from the water table, but how can you tell the difference? Certainly the water at the springs was not warm, and there was very little flow nor a crack from which the water emerged.